At last you can get the peace and recupperation you need after that day of stress and strife at work, all while watching the cosmos. 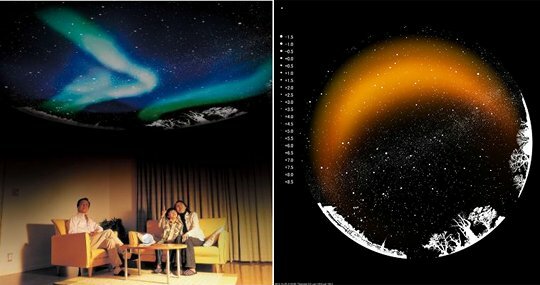 The Homestar Aurora is Sega Toys' sleep relaxation model in their global bestselling Homestar home planetarium series, featuring THREE extraordinary projections to match the mood you are: Sunset, Stars (10,000!) and the titular Aurora, all produced and supervised by planetarium genius Takayuki Ohira. The Homestar Aurora features special built-in speakers that resonate out healing music created by sleep therapist Miho Mihashi. The projection angle also can be easily adjusted just by swivelling the dome. Coming in either white or black color versions, this unobtrusive lifestyle accessory will fit into any home and, when switched on, will immediately transform your room into a sleep-inducing paradise of peaceful dreams.